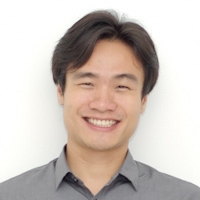 I am an associate professor at the School of Computing (SOC), National University of Singapore (NUS). I obtained a PhD in Computer Science from the Chinese University of Hong Kong in 2008, and did a postdoc at the Cornell University. Before joining SOC in 2018, I was an associate professor at the Nanyang Technological University, Singapore. Database management and analysis -- especially data privacy, graph analysis, and algorithms for large data. I am looking for research assistants, PhD students, and postdocs. Please send me your CV if you are interested.